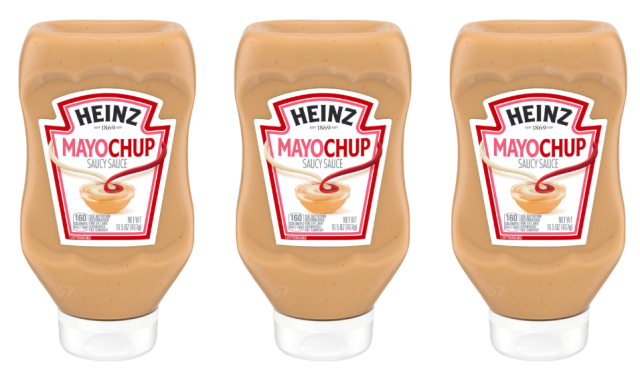 New Heinz Mayochup, a combination of mayo, ketchup, and a "special blend" of spices can now be found at retailers nationwide. The condiment is meant to be a convenient option for those who have long mixed the two sauces together (as well as something new to try for those who haven't done so). It's a fairly common combination in burgers. 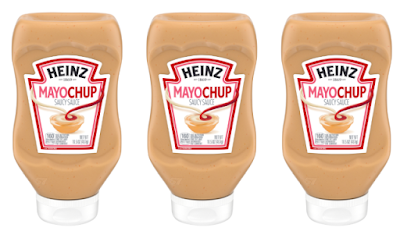 You can find Heinz Mayochup in 16.5-oz squeeze bottles that carry a suggested price tag of $3.49. If you can't find it locally, it's listed for pre-order on Amazon.com but only in packs of six (they won't ship out until the end of November).